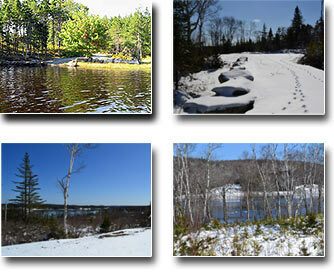 Nova Scotia Waterfront Real Estate - Sawmill Landing - Sherbrooke, N.S. Enjoy all the wonders nature has to offer at Sawmill Landing. The ideal location for your dream retirement home or weekend getaway right on beautiful Nova Scotia waterfront properties. The water enthusiast may explore the Atlantic Ocean, traveling from their own backyard. Come and enjoy all the amenities of a charming village nestled in the river valley, coupled with your own piece of tranquility in the world! If you're ready for peace and tranquility in a beautiful setting, than these four stunning waterfront properties are ready for you. This beautiful executive Log home is set in a natural surrounding, located where the St.Mary's river meets the Atlantic. 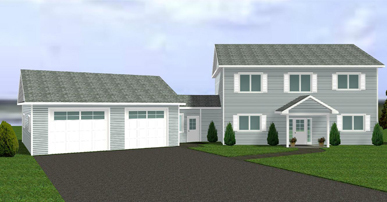 This home has 3 full levels and a completed basement with windows to the front. The family room has cathedral ceilings and fireplace. This lovely home sits on 3.5 acres of partially wooded land, overlooking the St. Mary's river inlet.This real estate property features 416ft of water frontage. This charming Cape home real estate is ready for you to move in! The house graces a 2.48 acre lot with plenty of pines and maple trees. This wonderful lot boasts 400 feet of water frontage. Waterview Home on Lot 30A - Call for price! This waterfront property is made up of two lots, 30 and 31 for a total of 5.06 acres and 880' of water frontage. 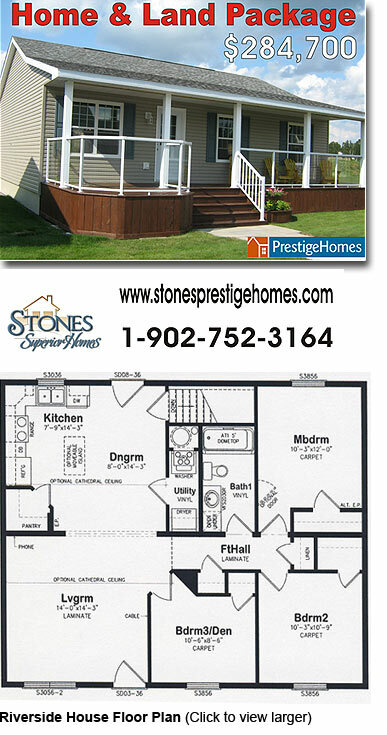 The house is 30' x 60' all ground level and wheel chair accessible. The porch is 24' x 10' and the car port is 16' x 24'. The house has four foot frost walls insulated and a concrete slab for the floor which is also insulated. 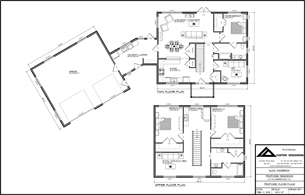 There are 3 bedrooms, two full baths, with the master bedroom its own en suite. The living area is open concept , vaulted pine ceiling and lots of large windows overlooking the river. The covered decks are 10' x 40' and 10' x 30' respectively. There is a propane fired stove in the living room, and the whole electrical system is backed up by a propane fired 20, 000 watt generator. The detached garage is same construction, 26' x 40' x 10' and has a covered deck 26' x 8' overlooking the river. The garage door is 10' wide x 9' high plus a 3 'w x 6.8 h passage door. There is a woodstove plus electric water heater and the building is heated electrically. This beautiful real estate is a waterview lot, 4 km. in on Anderson Dr. from the # 7 highway. The view is large and overlooks lots 4, 5, 6 & 7 for approximately 1+ km down river, 1 km across the river and 1/2 km up river. 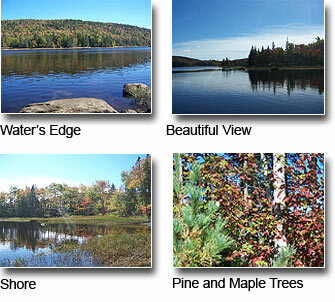 This waterfront lot is prepped and ready for your cabin or one already built by Prestige Homes. The land behind you is owned by the Crown/Government. The lot is 4.5 acres.